The five accused allegedly verbally and physically assaulted Jacob and Dudu Sono on August 3, 2017 at a KFC outlet in Montana. 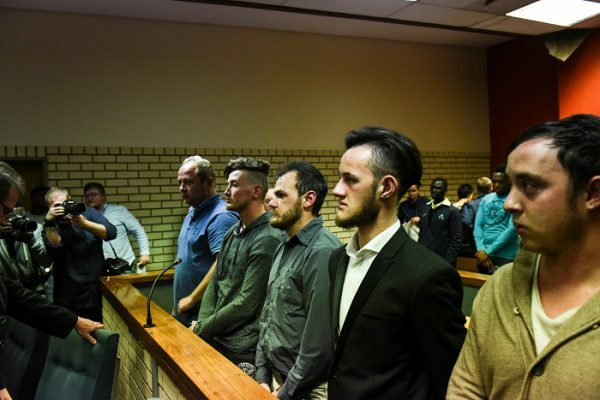 The case against five Pretoria men accused of assaulting a black couple at a KFC drive-through last year, has been postponed to September. Defence lawyer for three of the accused, Advocate Nolse Nolte, requested more details from the State, and said while he had received the docket questions still needed to be answered. A video taken with a cellphone went viral on social media, showing the five accused allegedly verbally and physically assaulting Jacob and Dudu Sono on August 3, 2017, at a KFC outlet in Montana. Marius Harding, Stephan Nel, DJ van Rooyen, Ockert Muller and Joshua Scholtz are facing charges of attempted murder, assault with the intent to do grievous bodily harm, and the pointing of a firearm. Four of the accused have been released on bail while Harding was denied bail. Harding was arrested in 2014 on charges of assault and crimen injuria for allegedly assaulting three petrol pump attendants and using racial slurs at a garage in Petrus Steyn, Free State. He is also facing a charge of fraud in a separate case in KwaZulu-Natal. The case against the five accused will resume in the Pretoria North Magistrate’s Court on September 3.